McKay Court | BSHM Architects, Inc. 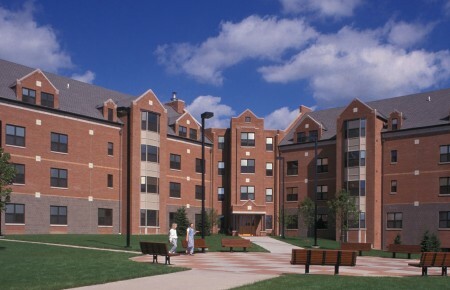 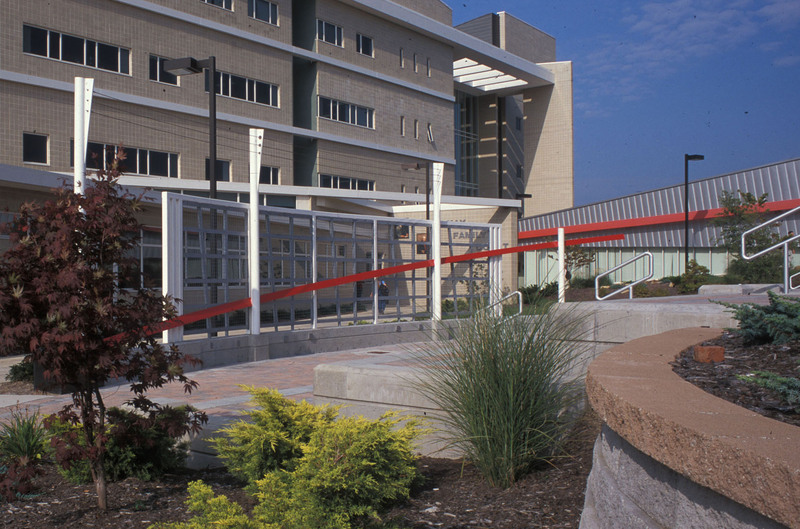 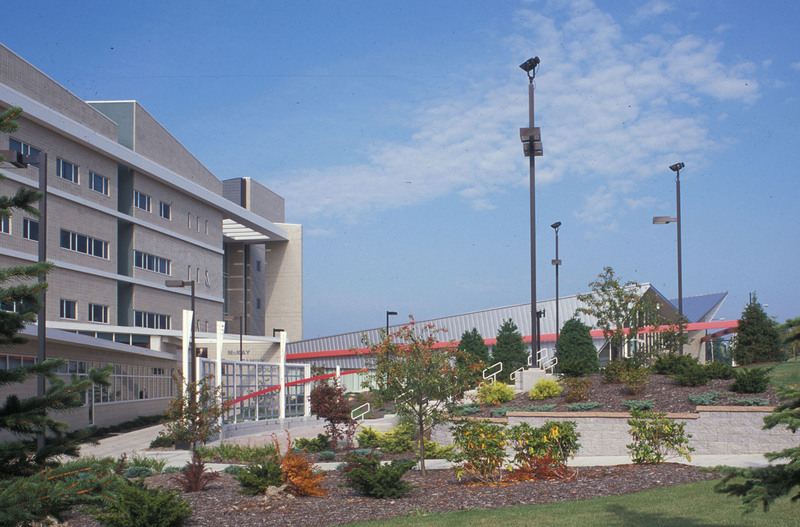 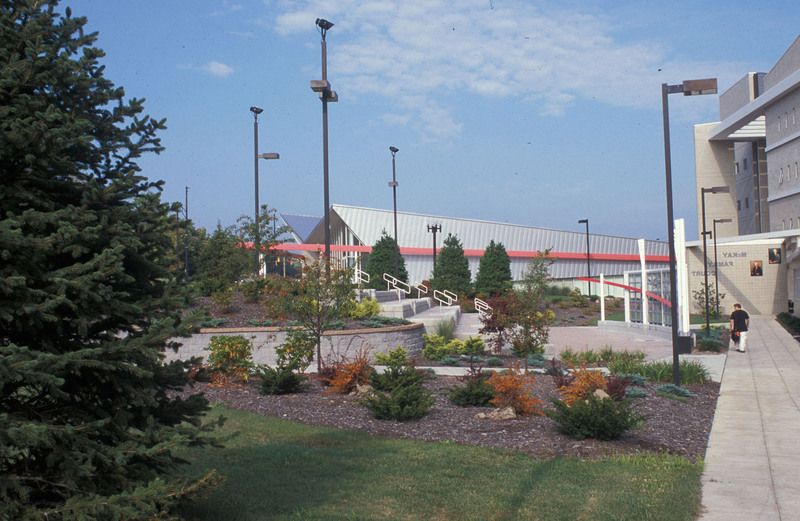 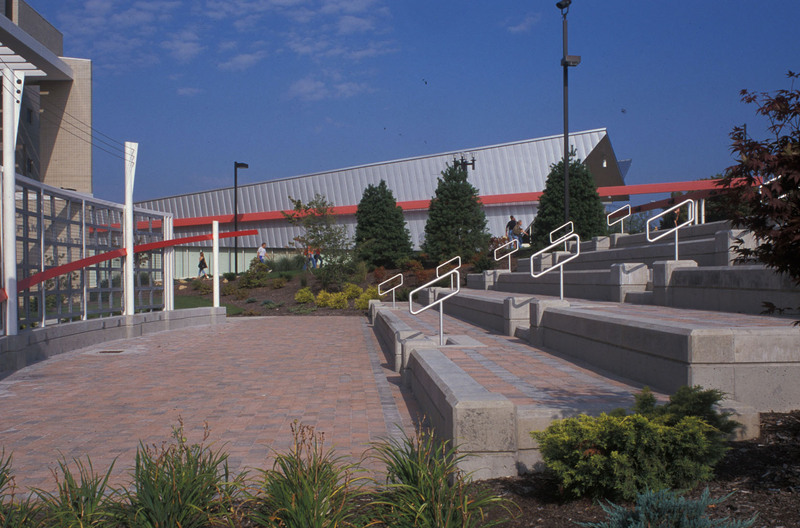 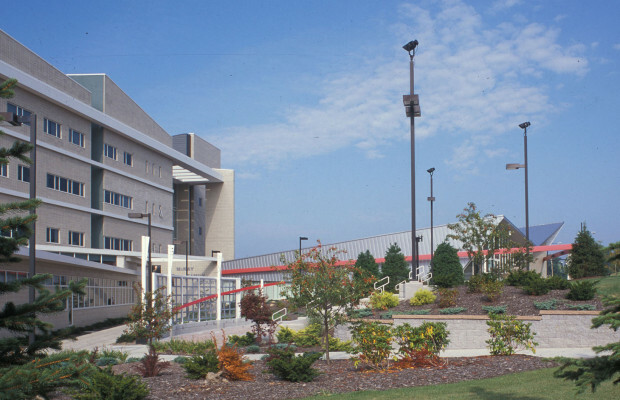 Subsequent to the completion of the College of Education Building at YSU, the McKay Family contributed funds to construct a small 400 seat open air performance/lecture area adjacent to the new building. 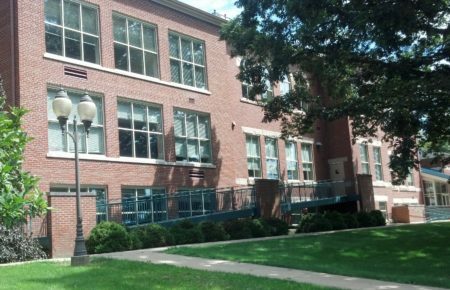 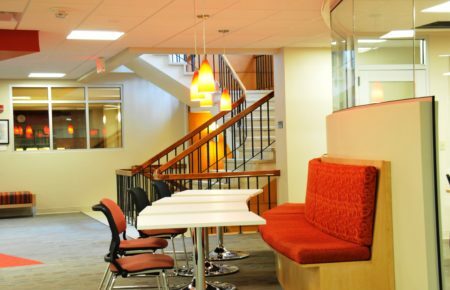 The space is intended to be used by the students of the College of Education, the children who attend preschool there, and the general public. 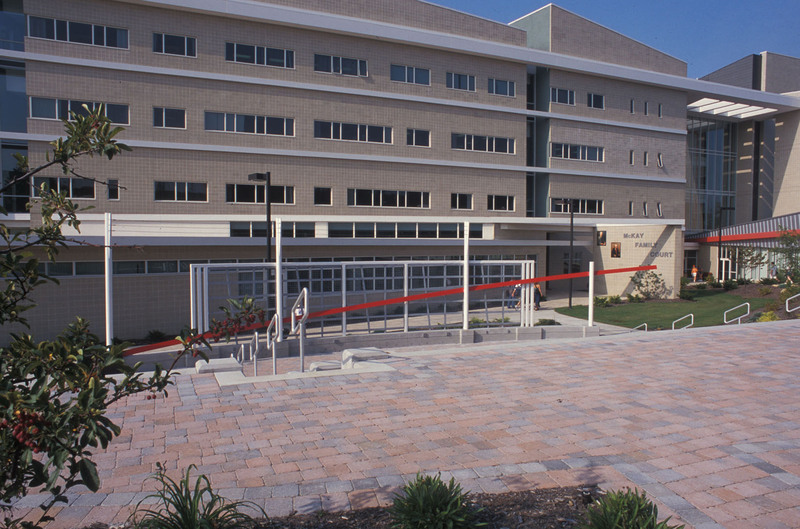 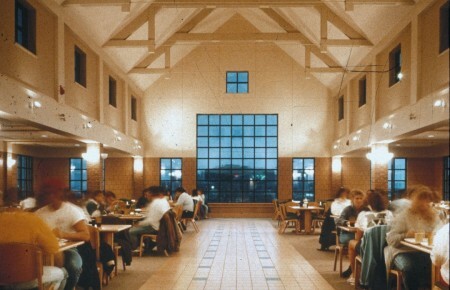 A gridded screen separates the performance space form the north building entry walkway, while not blocking the view for the building occupants, or creating a solid mass which would obstruct the building. 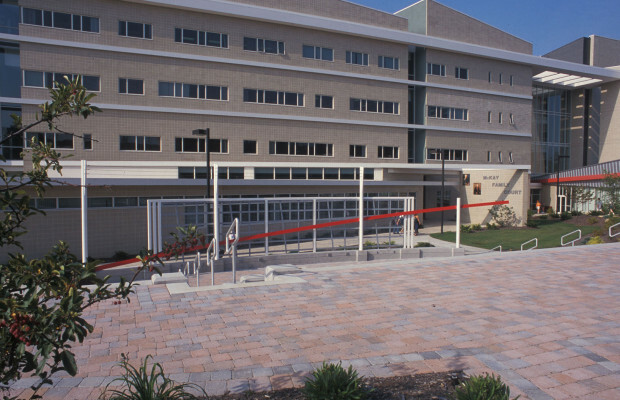 A red horizontal band which weaves through the screen takes its cue from a similar red band on the adjacent building canopy. The stepped seating area follows the contour of a knoll to the north. 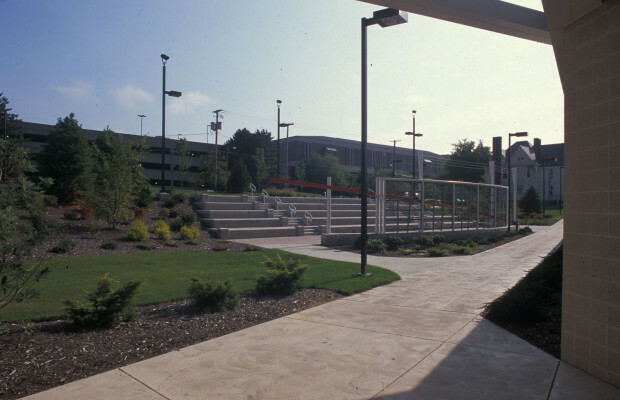 At the top, landscaping creates a barrier between the street and the upper tier of seats.